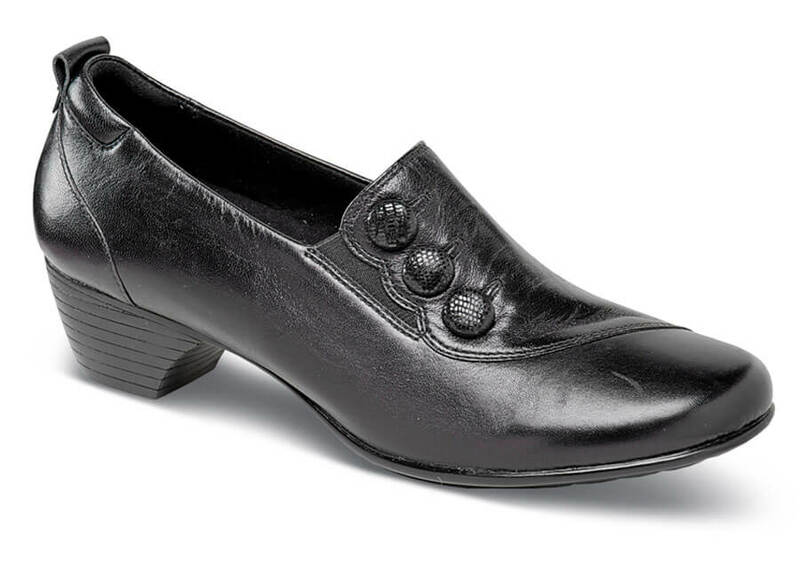 In the office by day or on the town at night, the black twin-gore "Phyllis" by Aravon dresses you in style. Aravon is a New Balance women-only line that incorporates technology from their athletic shoes, such as moisture-wicking Dri-Lex® linings, removable molded EVA and Memory Foam footbed with built-in "stability cradle," steel shank and rubber outsole with Gel Pad. 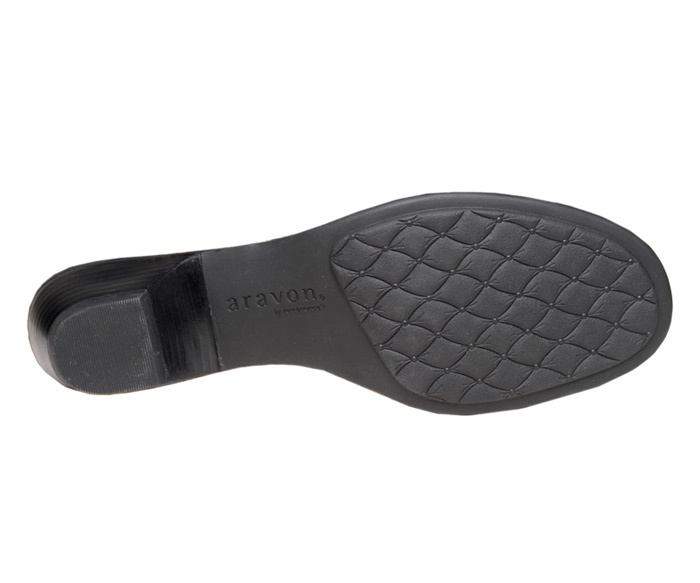 The molded sole unit has a 1½-inch heel height. 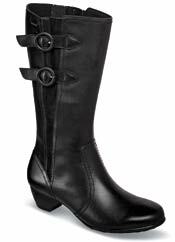 Women's sizes 6½–10, 11 and 12 in 2E width. Limited sizes available.